On September 14th the 2nd Annual Dream Connection 5K brought runners to charge through Turkey Creek. The Dream Connection, is dedicated to fulfilling the special dreams of children ages 3 - 18 who are faced with life threatening or chronically debilitating illnesses in the East Tennessee area.The race, in it's second year enjoyed wonderful cool temps and double the runners. Double the runners means double the funds to help make dreams come true. To find out more about the Dream Connection, please visit their website here. 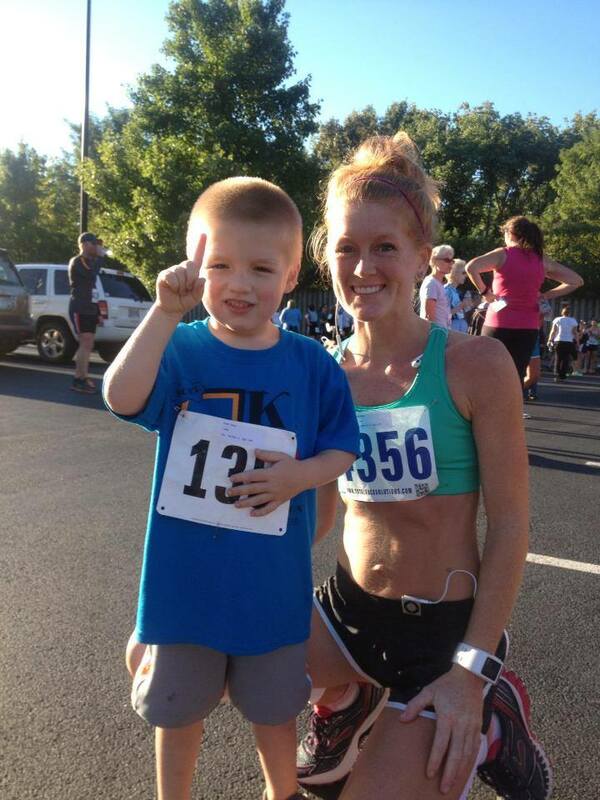 We are most proud of Tyson, who won 1st place in the kid's 1 mile race. He ran non-stop in his New Balance 890's and this was his first race. Tyson enjoyed talking to everyone to let them know he was "way faster" than them. We love it. Way to go buddy! We can't wait to see you on the race course again next year.